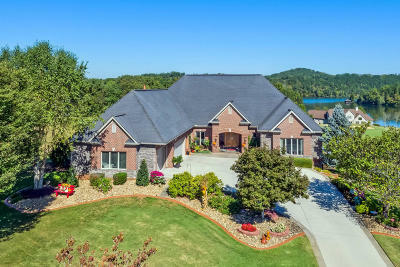 Custom home designed carefully placed along the golf course with wonderful lake views. This is a place in which you want to stay and just relish the moments garnered. The custom windows have no impediments to the view. All components were installed with great care by a contractor that was always on site. From every functional add on: windows, fireplaces, lights and solid core doors throughout, to the brick exterior to the brick and tile decks, there is just nothing to match the lifestyle this ''sum of its components'' home facilitates. 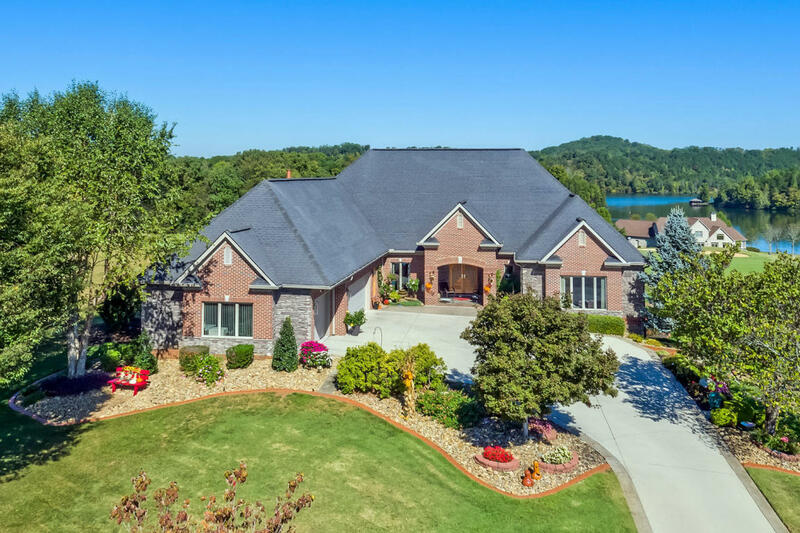 This home, replicated elsewhere, would require well over a million dollars. Over 7,300 sqft. of heated and cooled space with a complete separate in-law quarters below.